Add a complete referral system to award users who refer visitors and sign ups. Added the event "Specific referral visit". Referrals gives you the ability to add a complete referral system to your website and award users who refer visitors and sign ups. In just a few minutes, you will be able to to add affiliate marketing to your site and boost your traffic. Referrals extends and expands GamiPress adding new activity events and features. Specific referral visit When site receives a referral visit on a specific post. Referral sign up When an user gets a referral converted as a new user. Award users for refer new visitors and sign ups. 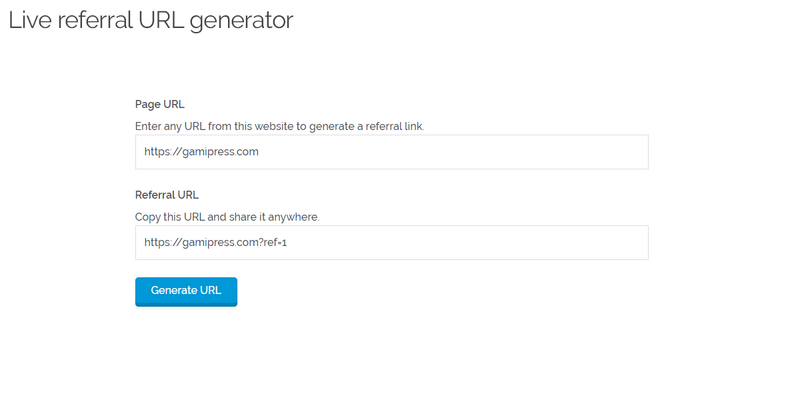 Referral URL generator where users can convert any website URL into a referral URL. Block, Shortcode and widget to place user’s referrals counters separated by referral types (visits or sign ups). Blocks to place the affiliate ID and referral URLs anywhere. 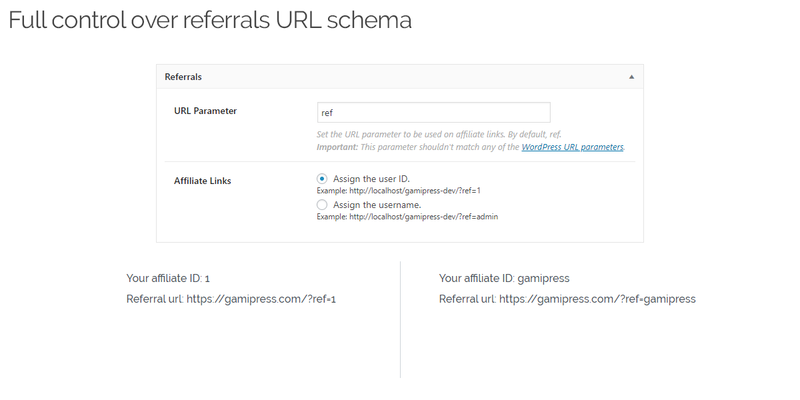 Shortcodes to place the affiliate ID and referral URLs anywhere (with support to GamiPress live shortcode embedder). 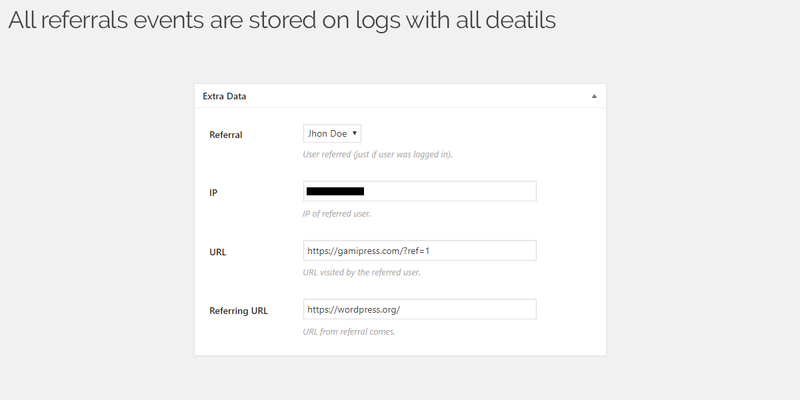 Widgets to place the affiliate ID and referral URLs on any sidebar.